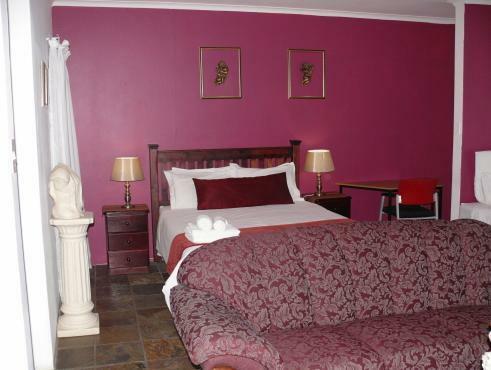 ﻿ Palmieros Bed and Breakfast East London. JIMAT di Agoda.com! Ada soalan mengenai Palmieros Bed and Breakfast? Sesuai untuk berehat dan bersantai, Palmieros Bed and Breakfast terletak di area Nahoon Mouth di East London. Hanya 8.6 Km dari pusat bandar, lokasi strategik hotel memastikan tetamu boleh ke mana-mana sahaja dengan cepat dan mudah ke tempat-tempat tarikan. Tidak kurang hebat adalah akses mudah hotel untuk ke pelbagai daya tarikan dan mercu tanda bandar, seperti The Craft Galley, Wild Coast Holiday Reservations, Gimnasium Virgin Active. Ambil kesempatan daripada pelbagai perkhidmatan dan kemudahan yang tiada tandingan di hotel East London ini. Untuk menamakan beberapa kemudahan di hotel ini, terdapat Wi-Fi percuma semua bilik, Wi-Fi di tempat awam, tempat letak kereta, khidmat bilik, pengangkutan lapangan terbang. Suasana Palmieros Bed and Breakfast terpancar di dalam setiap bilik tetamu. internet wayarles, internet wayarles (percuma), bilik larangan merokok, meja, bar mini hanyalah sebahagian daripada kemudahan yang boleh didapati di hotel tersebut. Sepanjang hari anda boleh menikmati suasana yang santai dengan kolam renang terbuka, taman. Palmieros Bed and Breakfast merupakan tempat yang ideal bagi penginapan pelancong yang mencari keindahan, keselesaan dan kemudahan di East London. One of the best experiences of travel accommodation. Will not hesitate to book this place again. 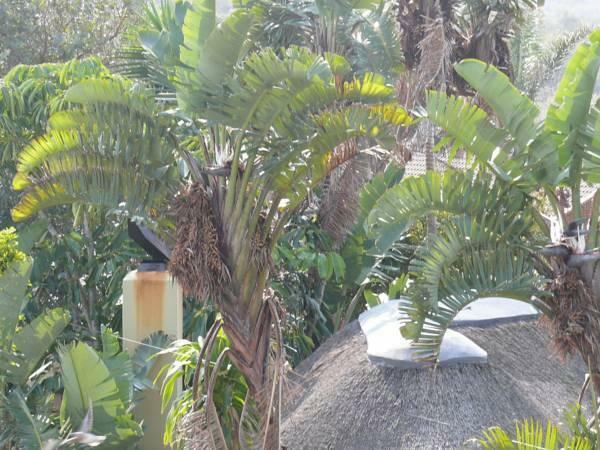 Palmieros was one of the best places I stayed in Africa, and I was very glad that I had to extend my stay a few days. Excellent, very friendly, helpful and welcoming. The Palmieros was perfect for my stay. Did not receive the room that I booked. Booked the nature room. Arrived and was given the Sea Shells room. On querying I was shown the Nature room and it looked like it was under going maintenance. I should have been told. No air conditioner in the room . Room did not have its own private entrance . No heater in the room and got a bit chilly. The room that I was given was much smaller than the room booked. Room given was tiled as opposed to wooden flooring as booked. Tea cup and saucer was dirty. Looked like it had not been washed. Dried stuff was peeling off the inside of the cup and I had to wash it myself. Limited selection of teas in the room. Just Ceylon and Ricofy. The place in general needs maintenance. The room in general was not comfortable or homely. Pictures on the site do not reflect the current state of the rooms. Had a luke warm to cold shower on the first morning. Told the owner but the water was the same the next morning. The shower dispenses too little water/ the water is not hot enough. As a result you freeze while having a shower in winter. No place in the shower for keeping/ hanging things like your shower gel, etc. No fruit selection for breakfast, which is almost standard at other B&B's. My towels were not changed (after two nights) and I had to request a change of towels from the owner. Pool area is in terrible shape. The hosts Rob and Lolly were superb. Extremely friendly and helpful. Rob, who runs e place was very warm, friendly and helpful. It was a lovely little place with a great room size and good hospitality. Very convenient to get to when driving from the N2. Quiet and had a great night sleep. Only negative was that there was no dresser and would've been great if a heater was provided during the winter season. I was warmly welcomed and informed that my room had been upgraded. The room was spacious and lovely decor. It was like being in a home away from home. I had the best four nights rest of my whole two week holiday as I felt safe and in a pleasing environment. Overall great value for money and I will definetly be back.